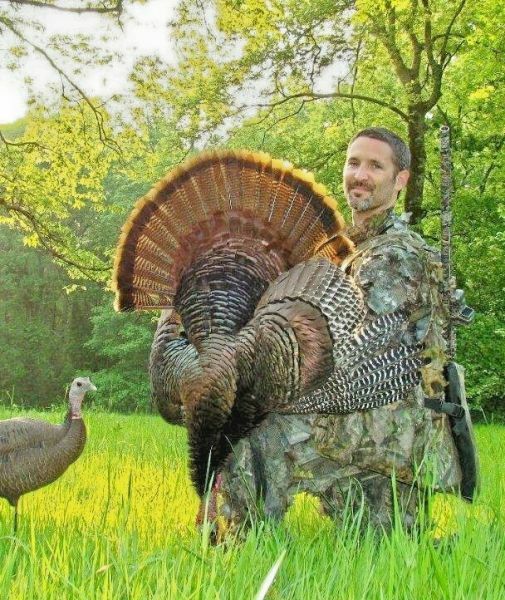 A member of the N.C. Wildlife Resources Commission proposed a few years back that opening day of turkey season move a week ahead, to the first Saturday in April. When rebuffed, he proposed opening a few counties near his home in the southeastern corner of the state a week earlier than the rest of the state. That idea was met with strong opposition from the N.C. Wild Turkey Federation, Mike Seamster, and most of the state's gobbler hunters. Seamster opposed the idea because of biological reasons, but some people charged he opposed an earlier opening date because, they said, he hunted in South Carolina and Georgia and didn't want to cut down on his hunting time in North Carolina. Seamster laughed at these charges then and now. "I've never hunted in South Carolina for anything, nothing at all," he said, "mainly because their non-resident license fees are so high. I hunted one time, I think, in Georgia. I've hunted a few times at a Virginia game land across the state line from my county." Seamster, who lives in Caswell County, hasn't hunted in Virginia "the last three to five years" because of family health issues. "Whenever you have a (border) line and different seasons, people are going to complain," he said. "It's too bad it got political."